Side projects usually give someone the chance to try out sounds they can’t get away with in their main vehicle, and the results are often hit or miss. 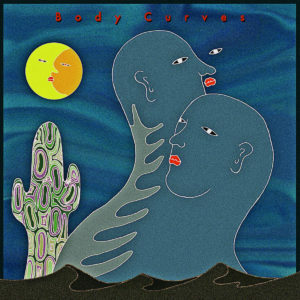 Body Curves, the solo creation of Shion Hosobe of the band Waater, deals in songs really similar to what comes out from the group…and finds a lot more interesting angles on it too. Maybe that’s because Hosobe gets to (presumably) work entirely on his own here, allowing more room to stretch out and try things that aren’t possible in a band that favors familiar indie-pop tropes. The similar mid-tempo, slightly submerged vibe comes through across Knife In The Desert, highlighted by Waater-worthy cuts such as “Already Said” and “Something Gold.” But even those ones get jacked up via drum machine beats and vocals that are even deeper in the mix, giving them more of a dreamy feel. And Hosobe really pushes this as far as he can, creating some Jesus-and-Mary-Chain-esque stomp and fuzz on “Wash Down,” or the more washed-out whirl of “Romancer,” with vocals smudging together. Get it here, or listen below.